At Cremur you will find a comprehensive range of Stoves, Fireplaces, Bathrooms, Tiles, Timber Flooring and much more! At Cremur, we’re committed to changing the way you think about home. Like you, we’re passionate about good design… and passionate about nurturing relationships with designers and craftsmen so that we can deliver those designs to you at prices that will help you Make Your House Your Home. Our recently refurbished showrooms in Rock Street, Tralee now stocks a large range of tiles, bathroom suites, flooring along with a huge selection of stoves and fireplaces to choose from. 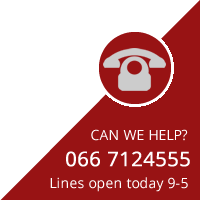 So call in and let us help you.